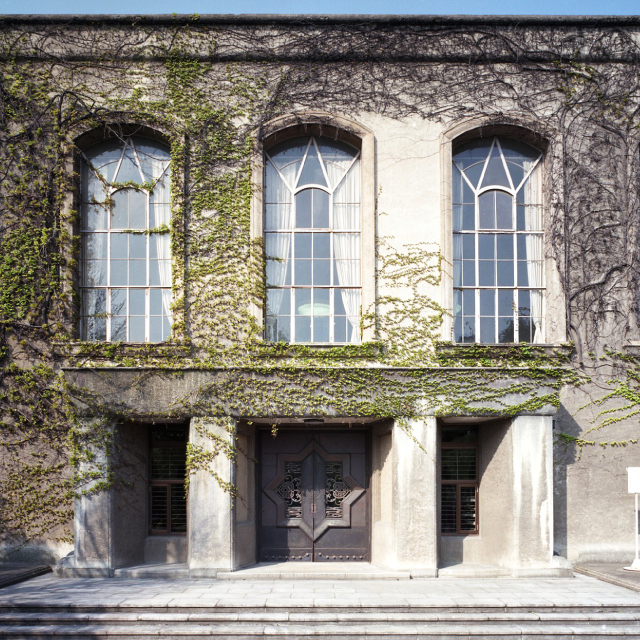 In the Waseda University Library, the Tsubouchi Memorial Museum, the Aizu Museum, the Waseda University Archives, and its other buildings, Waseda University houses a total of over five million books and documents, works of art, pieces of calligraphy, historical artifacts, film footage, documentary records, and other articles. These include two national treasures, seven important cultural properties, and eight art treasures. As well as representing the “knowledge” accumulated in the 125 years of education and research since the university was founded, these articles are also important cultural properties that form the core of the “Culture of Waseda.” Ever since the university’s foundation, its staff and students have worked together to make these cultural properties available to members of the public from all places and walks of life. This is because we believe that, by making public and utilizing the cultural resources possessed by the university, Waseda is able to contribute to the formation of a peaceful and cultured society, thus fulfilling one of the university’s missions: “contribution to society.” As well as playing a central role in disseminating Waseda University’s culture, the Culture Affairs Division plans to co-create and generate “knowledge” with its culture-related institutes at its core, via cooperation between alumni, businesses, local groups and communities, and so forth. At the same time, it will also aid, regulate, and actively promote a wide range of different cultural programs. Productive cultural centers are essential in order to develop cultural programs, and the Okuma Auditorium and the Ono Auditorium are symbolic as cultural centers at Waseda University. Renovation work on the Okuma Auditorium was completed in September, 2007, and it now serves as a multi-functional cultural hall. The 125th Anniversary Room was also installed as a place to exhibit the important cultural properties owned by the university. 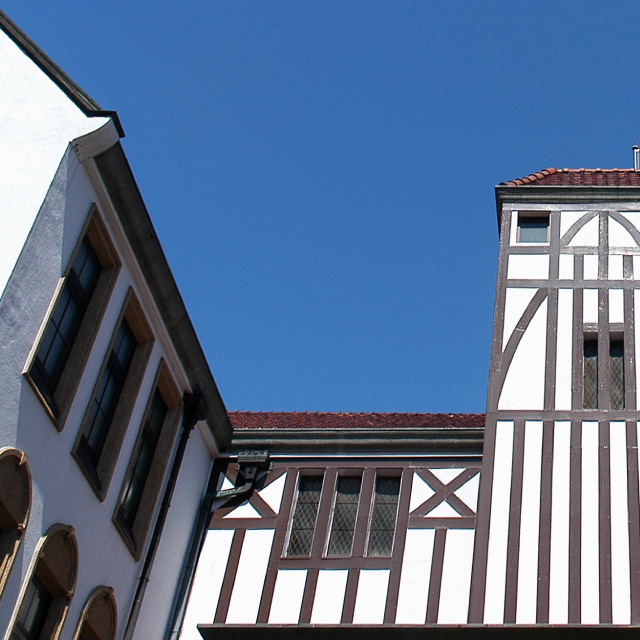 What’s more, the Waseda Gallery was created as a new base for the dissemination, inside and outside of the university, of the university’s past and future culture. This gallery also serves as an exhibition area for students’ final projects, and for small-scale exhibits. At the Cultural Affairs Division, as well as running the facilities and equipment used to facilitate a variety of cultural programs, we also work to actively disseminate results and other information from these cultural programs inside and outside of the university. As well as developing our existing cultural work, the Cultural Affairs Division also intends to actively form cultural exchange agreements with local authorities and other organizations. By cooperating with local groups and Waseda alumni, we aim to systematically and continuously develop wide-ranging cultural exchange, including human exchange outside the school. We hope that by helping local groups and Waseda alumni to empathize with Waseda University and the high level of education and research carried out there, they will be able to better understand the university. In order to promote firm, lasting cultural exchange, we plan to take every possible opportunity to further disseminate culture from the university and contribute to the good of society. Our mission is to use the abundant wealth of diverse cultural resources that Waseda University has accumulated since its foundation to develop new forms of education for the second century in the university’s history, while at the same time contributing to the peace and welfare of society and further cultural advancement, and, by doing this, supporting the development of human resources that will one day lead the country. As the secretariat of the Cultural Affairs Division, the Cultural Planning Section develops and implements various different initiatives in order to realize the division’s goals. Specifically, it holds cultural affairs conferences and coordinates cultural affairs policies at the university, and, based on these, devises cultural strategies and creates cultural promotion frameworks and systems. 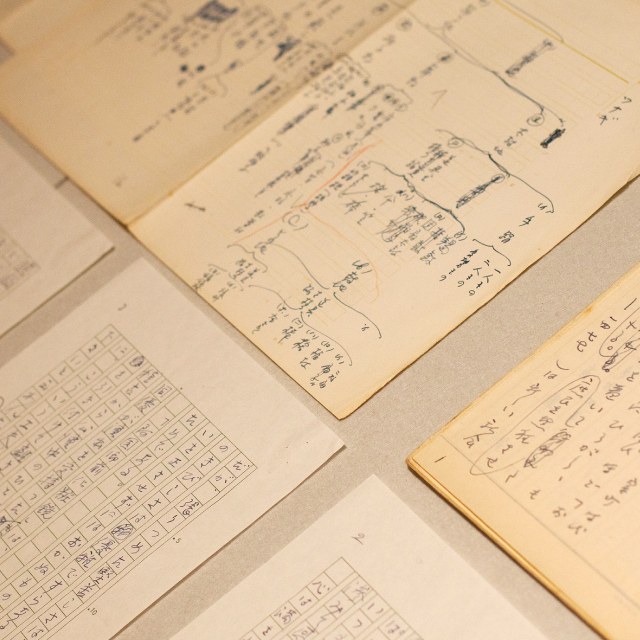 The Cultural Affairs Division carries out a range of culture-related work, and is responsible for managing the Tsubouchi Memorial Theatre Museum, Aizu Museum, and Waseda University Archives, which all house a large number of cultural resources. With these three facilities at its core, the Cultural Planning Section carries out policy implementation and management in order to strengthen cooperation with graduate schools, administrative bodies, and other organizations inside and outside the university. The Cultural Planning Section manages facilities including the Okuma Auditorium, the Ono Auditorium, the 125th Anniversary Room, and Waseda Gallery. One of the section’s biggest roles is promoting the use of these facilities inside and outside of the university, and supporting cultural promotion and cultural dissemination using them. It is also responsible for working to actively publicize the various cultural programs carried out at the university by students, faculty members, and alumni. The section works to disseminate cultural affairs work carried out at the university, with the abovementioned three cultural resources at its core, using a variety of media including websites, posters and flyers, and bulletins. 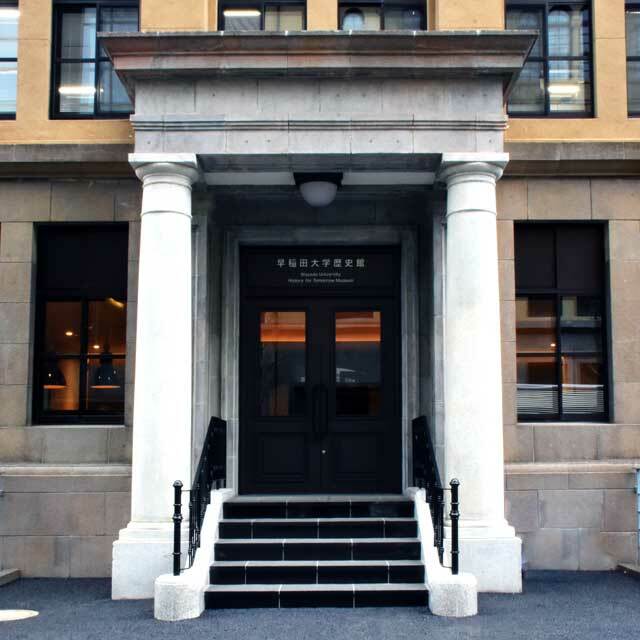 It also manages a publication planning committee in accordance with the university’s Academic Book Publishing System, and through publications from the Waseda University Press, such as the Waseda University Academic Series, disseminates research results across Japan and the world, thus helping to elevate the university’s academic status. In terms of developing human resources, the section runs the Waseda University Tsubouchi Prize committee, which celebrates individuals with the potential to lead cultural promotion in Japan. It also collaborates on award programs such as the Shiritsu-sai in Sukumo, Kouchi; the Wakayama Bokusui Seishun Tanka Taisho in Nobeoka, Miyazaki; and Obunsha’s National Art & Science Contest, where the Waseda University President’s Prize is given. It also works to elevate the university’s cultural presence and give back to society by contributing to regional cultural promotion programs: it runs the Omoshiro Kagaku Jikken Kyoshitsu (children’s science workshops) together with the Faculty of Science and Engineering, Karuizawa in Nagano, and Kamogawa in Chiba; holds student theatrical performances in Minokamo, Gifu; and collaborates with regional administrative and community bodies in Shinjuku and Nakano in Tokyo, Honjo in Saitama, and more.